According to a recent study by Google, 82% of smartphone users turn to their phone to influence a purchase decision while in a store. This provides brands a great opportunity to deliver contextually relevant messages while the purchase intent is high. iBeacon technology is the medium to do just that and more. An increasing number of industries besides retail like hospitality, event management, museums and aviation are now waking up to the potential of iBeacon technology to create rich, seamless experiences for their customers. 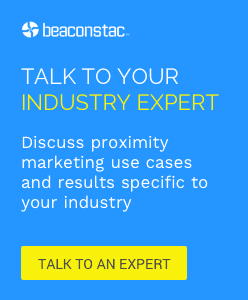 The following infographic demonstrates how beacons are bridging the gap between physical and digital experiences to bring the world at our fingertips.